Earlier in 2018, I started hosting a new TV show called CREATE. It aired in Colours channel carried through the Cignal cable subscription, and continues to air in ONE News. The show is about profiles of creative people. One episode focuses on one subject. Our first season ran well, we are now about to produce our second season. We took a break because I went on a 10 week vacation in our Toronto home. 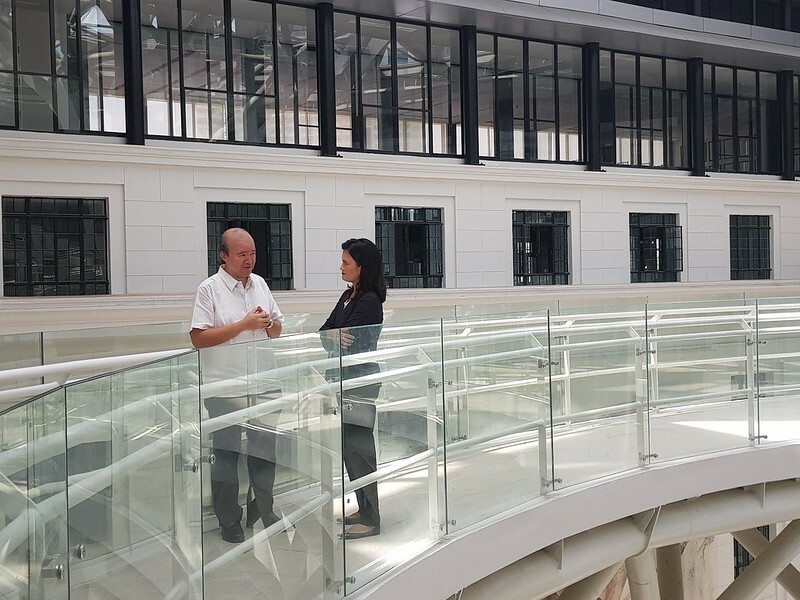 I thought it was more than appropriate to end our first season with a profile on Dominic Galicia, an architect I respect so much. 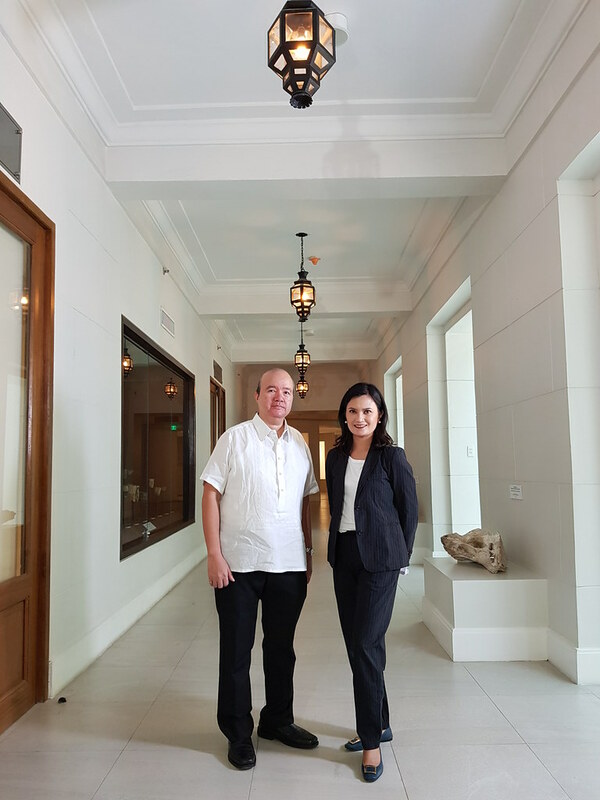 I have come to know Dominic’s work in the two decades I’ve lived in the Philippines first through the churches he’s built, and the many houses I’ve featured in Urban Zone. 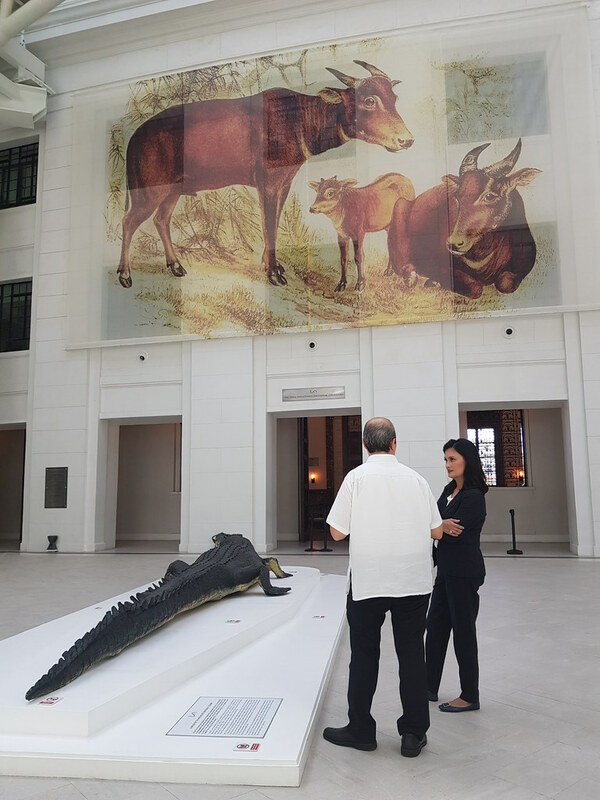 I love what he has done in the National Museum of Natural History. 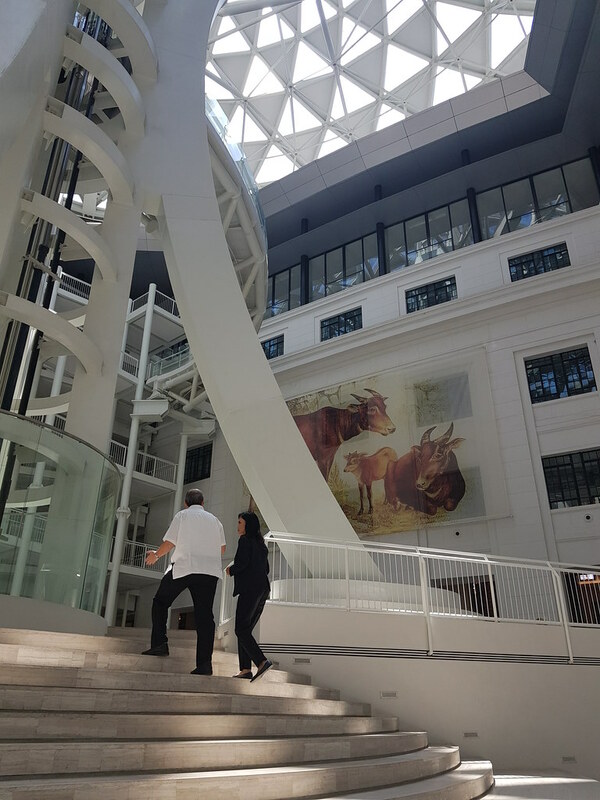 The original neoclassical building was built in 1930 by Antonio Toledo as the Agriculture and Commerce. 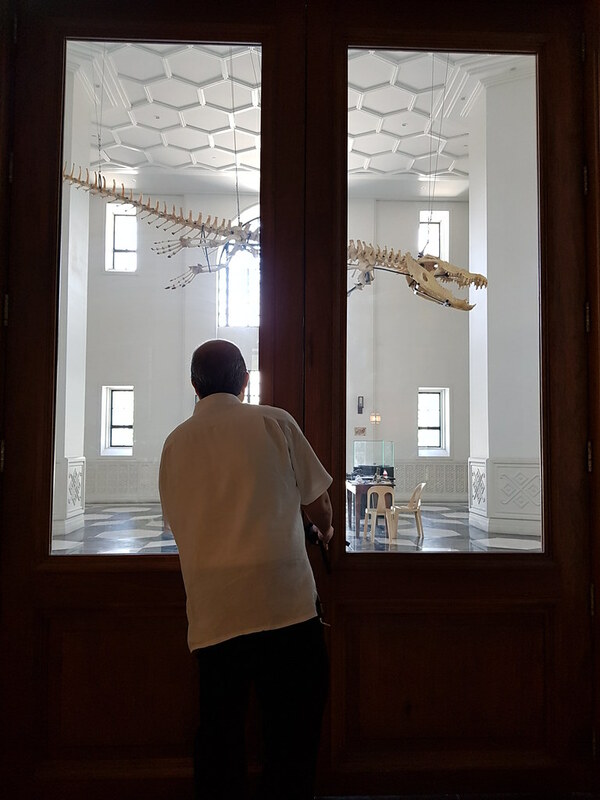 It had been used as the offices of the Senate of the Philippines for some time, until the National Museum started to integrate the three buildings into a museum complex – including the National Museum of Anthropology and Fine Arts. 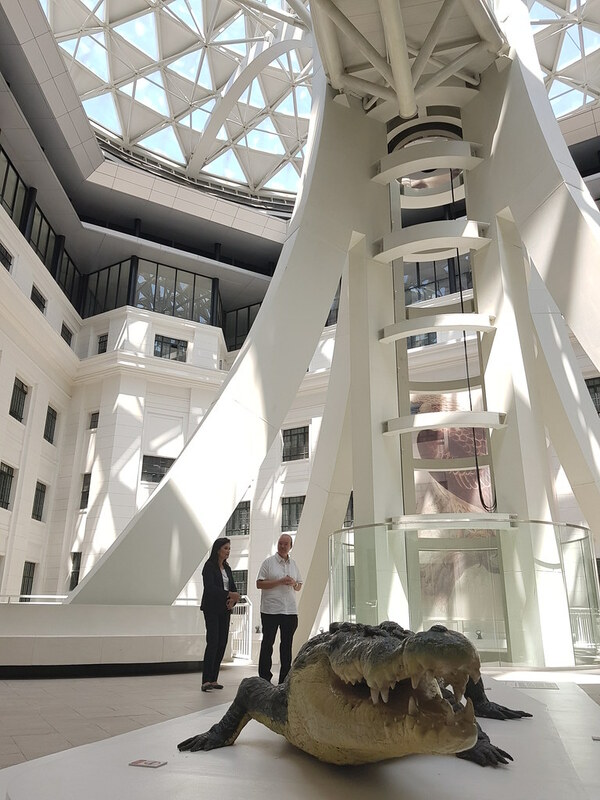 The pitch of Dominic Galicia Architects and Periquet Galicia interior architects won the bid for the restoration of the National Museum of Natural History and construction started in 2013. It took five years to complete. 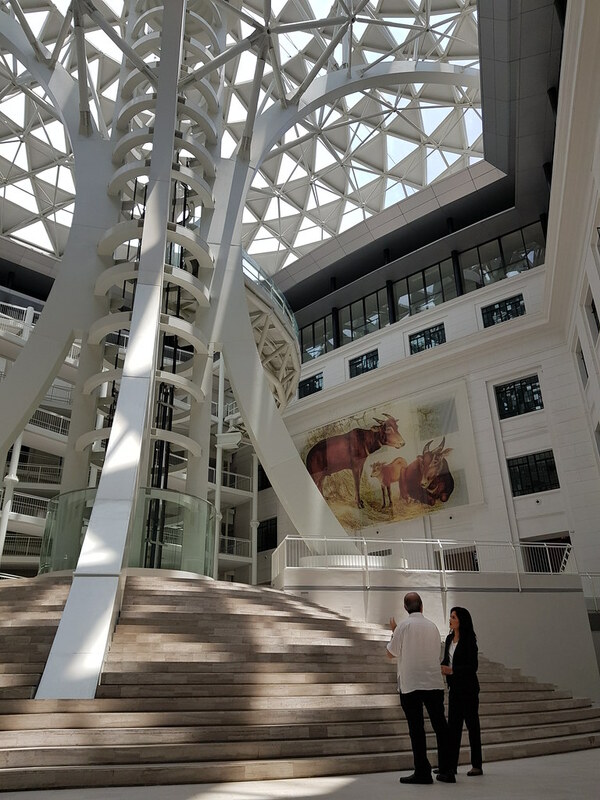 The visual focal point of the new National Museum, of course, is the Tree of Life that stands in middle of the atrium. 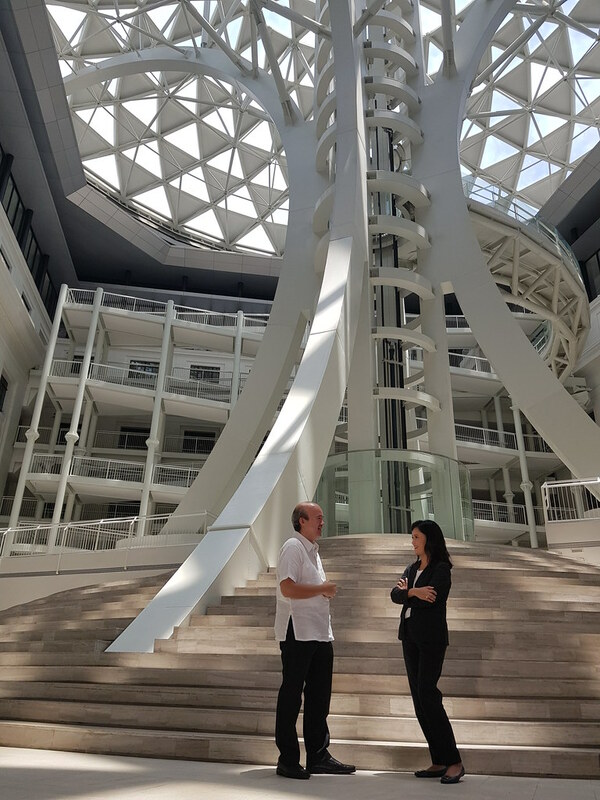 The architect, Dominic Galicia, explains to me the metaphor of the “Tree of Life” – it is both biblical, mythological, and philosophical. The edges of the canopy of the Tree of Life do not rest directly on the roof and walls of the old building. The weight is completely supported by the trunk of the tree which houses an elevator inside. The Tree of Life is not only symbolic, it is also functional. 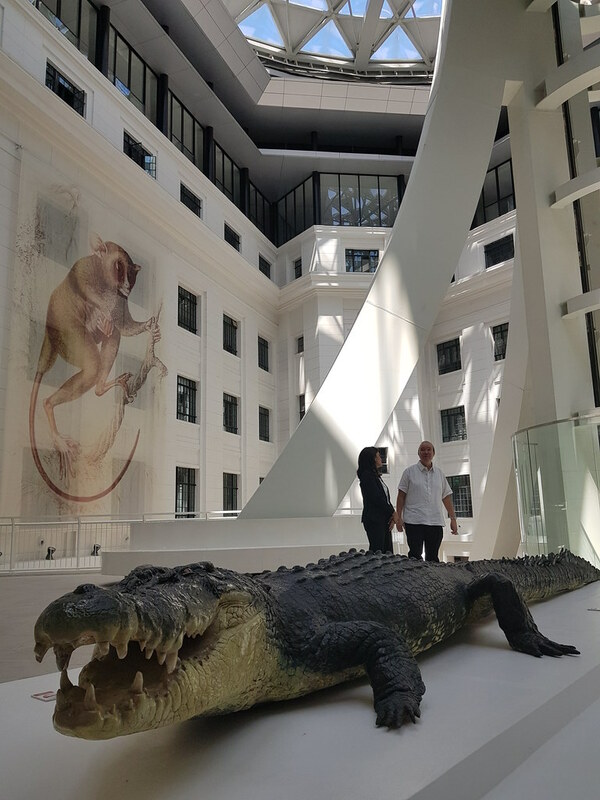 A current highlight when visiting the National Museum now is the taxidermies body of Lolong, the world’s largest crocodile caught and placed in captivity, who has now become the iconic “superstar” of the museum. He was caught in Agusan del Sur in September 2011 and unfortunately died while in captivity in February 2013. 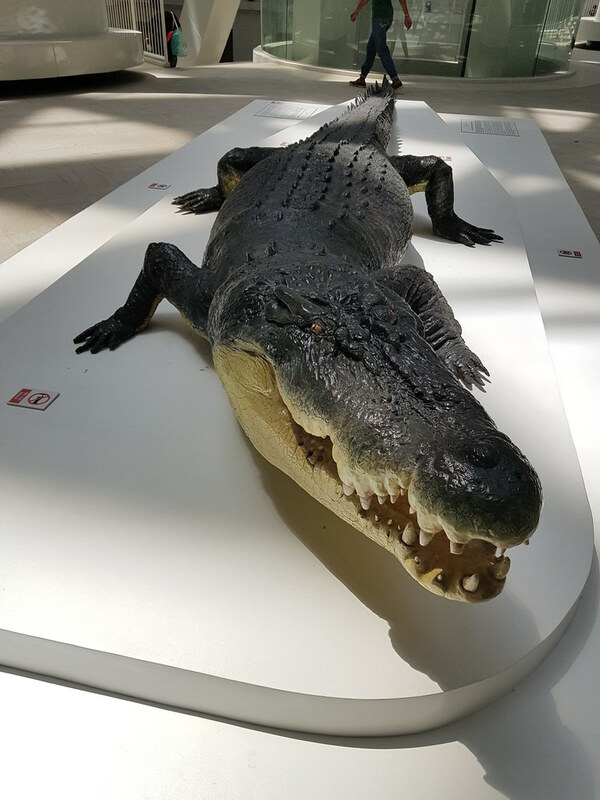 This is the taxidermied body of Lolong, displayed in the main atrium. 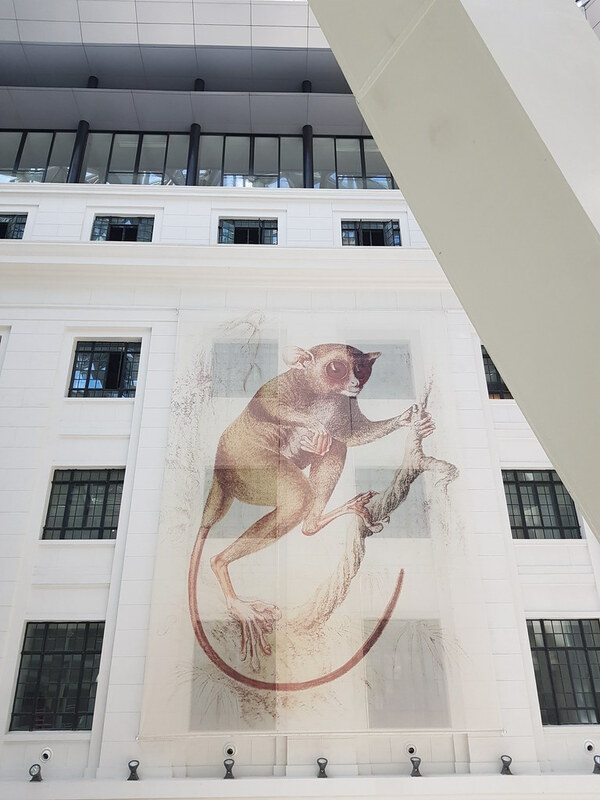 The walls and windows surrounding the museum were lined with translucent prints of wildlife indigenous to the Philippines. This is the tarsier. 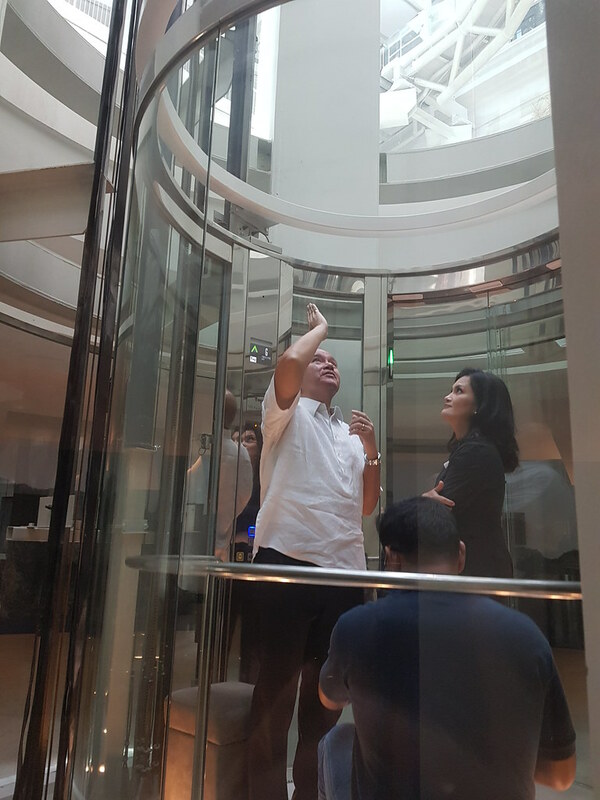 I was led to the base of the Tree of Life, where Dominic Galicia showed me the entrance to the elevator. The elevator shaft in the middle of the trunk is encased in glass. 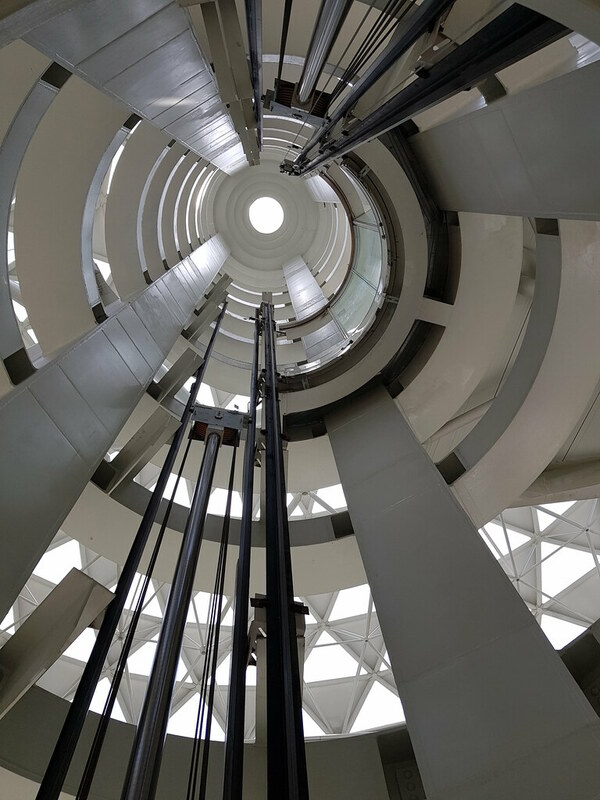 View from inside the elevator, looking up. 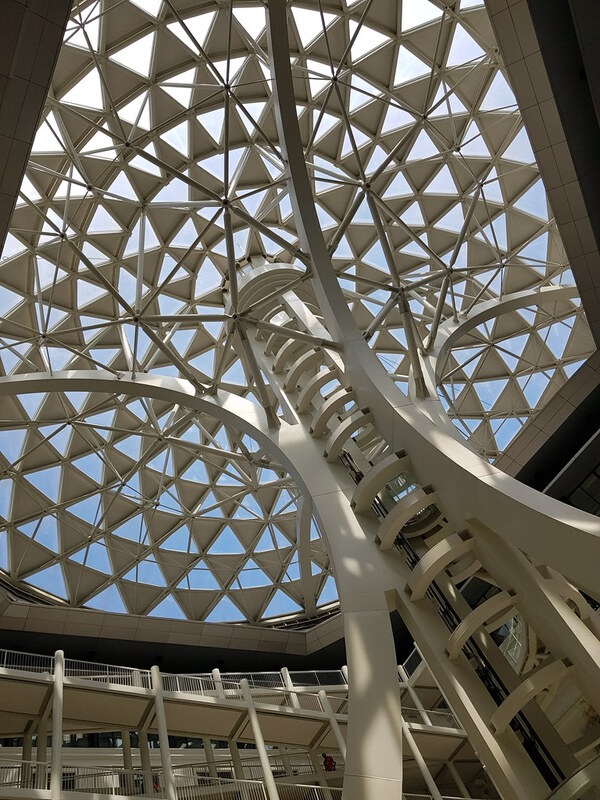 Once you are on the top of the Tree of Life, the elevator opens to this walkway that leads to the galleries. The view from here is quite spectacular. 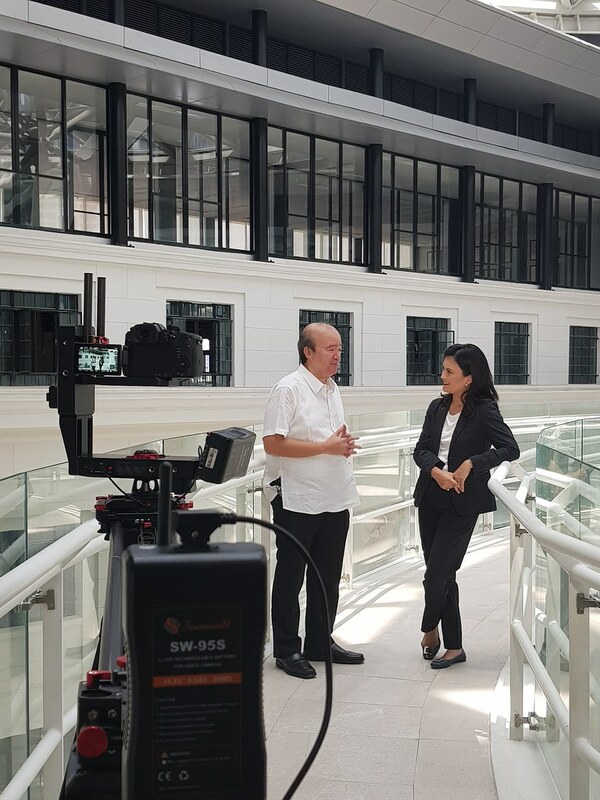 We continued our interview here. I asked Dominic to show me the gallery where the 700,000 year old rhino bone was. Since we shot on a Monday, while the museum was closed, the gallery was locked. 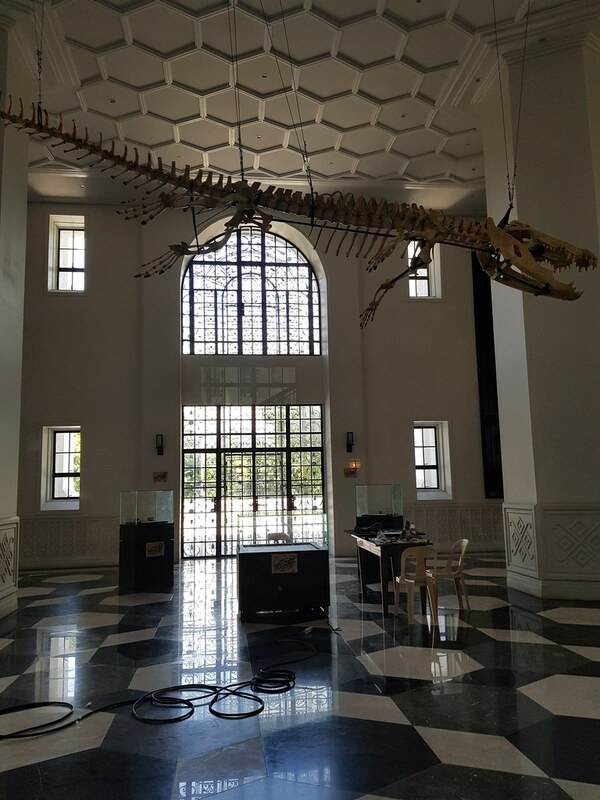 The actual bones of Lolong is prominently displayed, hung from the ceiling. This corner gallery is a very impressive space. It used to hold two floors. 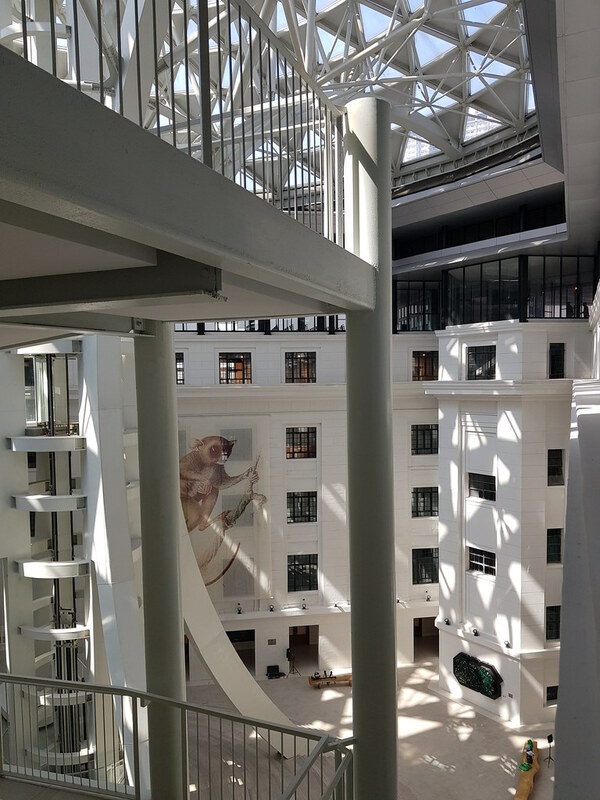 The project’s interior architect Tina Periquet removed the second floor. The tall arched windows give the larger space a unified feel. Notice the hexagon patterns repeating itself on the mosaic floor and the coffered ceiling? 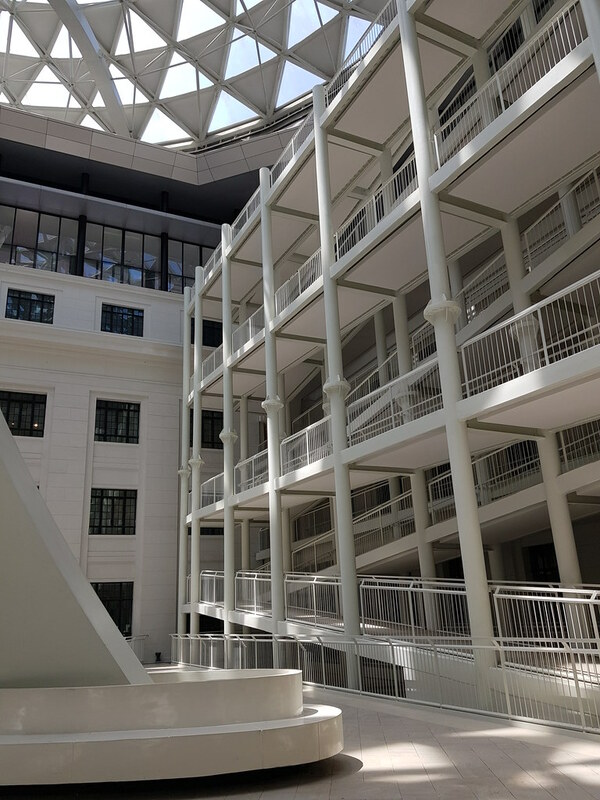 Not only is it visually appealing, it is also symbolic of the shape of DNA, which is the foundation of all the fossils and artefacts displayed in the Natural History museum. 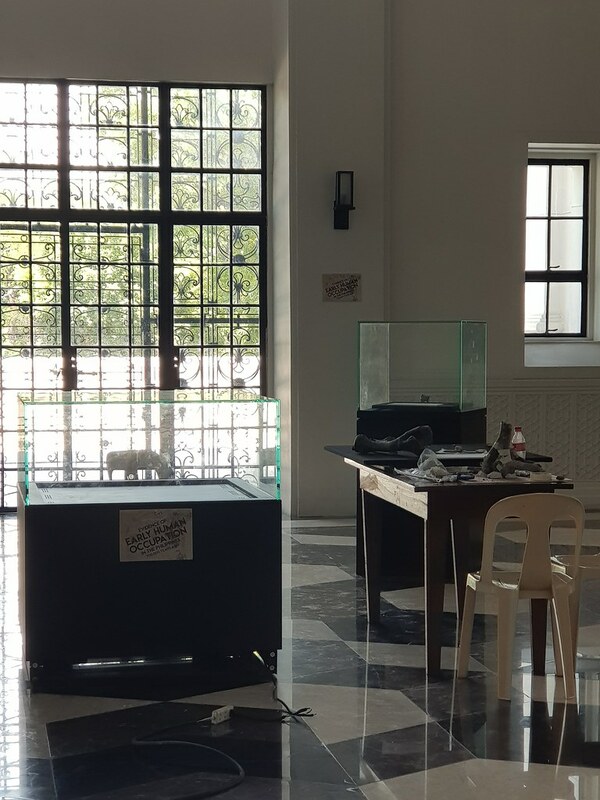 The display cabinet of the 700,000-year-old rhinoceros bone and hacking tool was empty. Looked like some final touches were being done in the display case. The 700,000 year old rhino bone was on the table. Note that the room was locked. 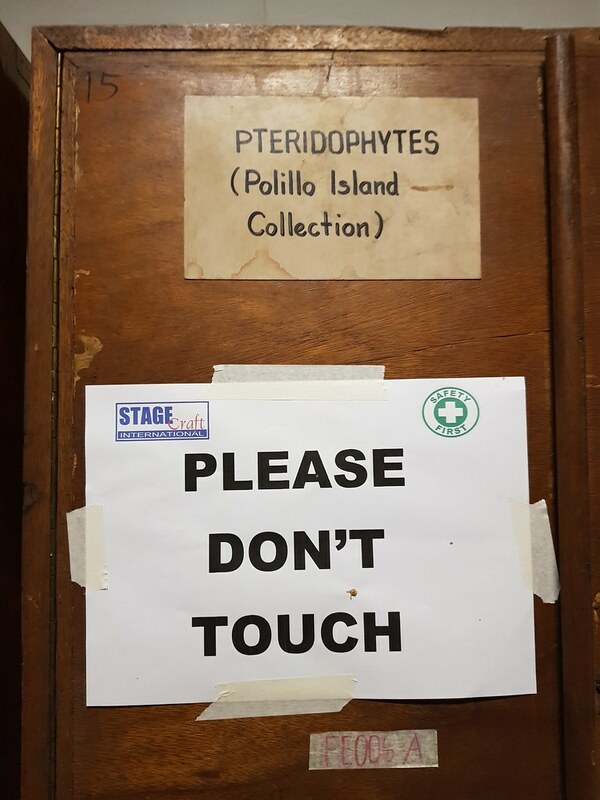 None of us entered. 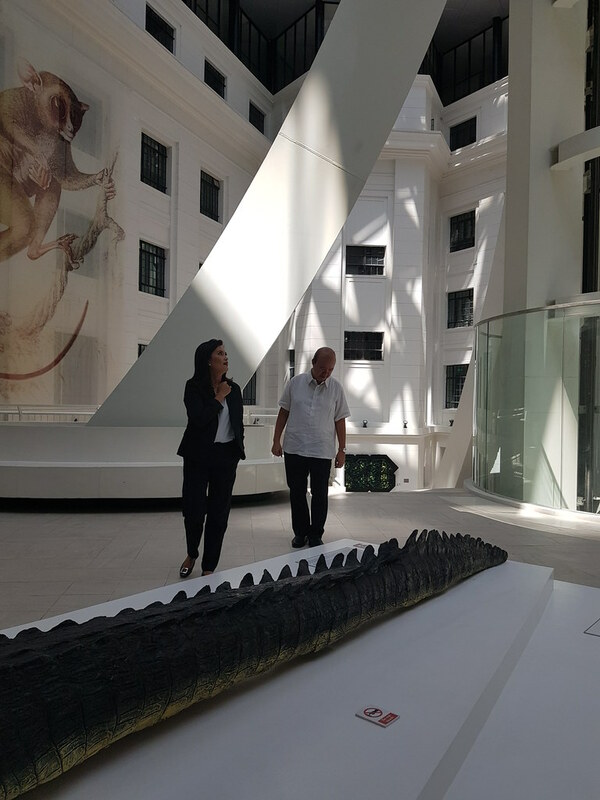 I think the rhino bone should be the star of the museum more than Lolong, the crocodile. But that can be debatable. This find is so significant not just to the Filipinos but to the rest of the world. A bit of a background, the artifacts (bone and tool) were found in an a river flood plain in Luzon beside a butchered carcass of a rhinoceros. “The ancient toolmakers were clearly angling for a meal. Two of the rhino’s limb bones are smashed in, as if someone was trying to harvest and eat the marrow inside. Cut marks left behind by stone blades crisscross the rhino’s ribs and ankle, a clear sign that someone used tools to strip the carcass of meat.” (Source, National Geographic linked below). Researches estimate the age of the remains to be 709,000 years old. The earliest evidence of Philippine hominins were found in Callao Cave, and dated to only 67,000 years ago. This rhino bone and tool suggests that the Philippines was occupied before the known origin of our species, homo sapiens. 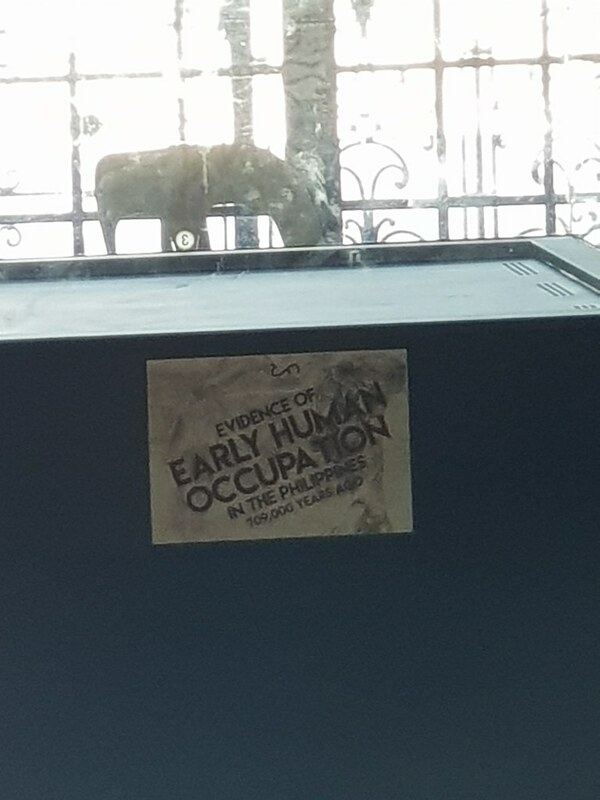 One of the questions is how did early hominins get to the Philippines in the first place. Read more in this National Geographic article, published in May 2018 here. The ramp to be experienced going down. 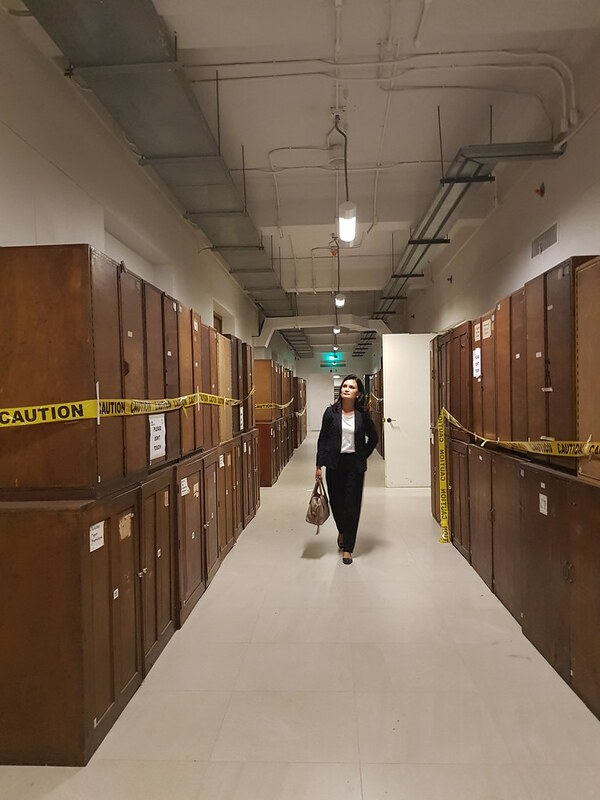 A big treat was getting to walk in the private halls and offices of the museum. My imagination was working full force. 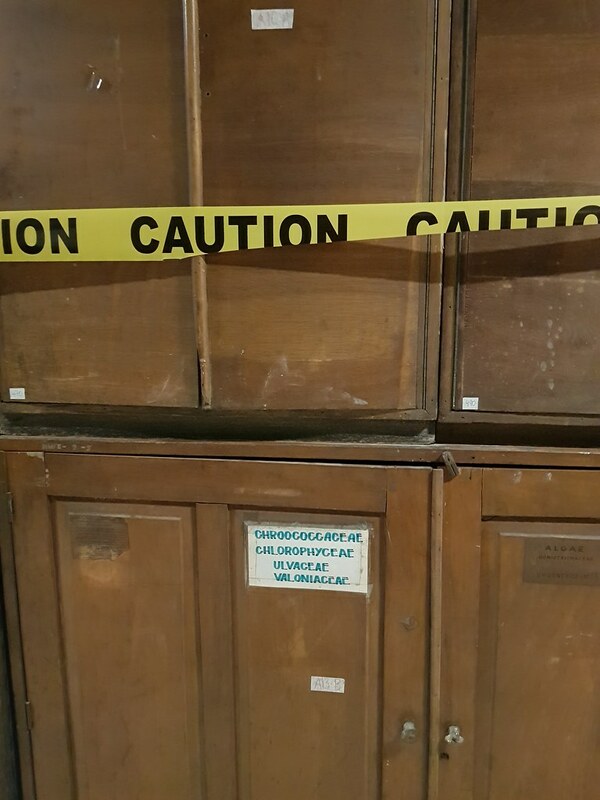 What could be inside these cabinets? 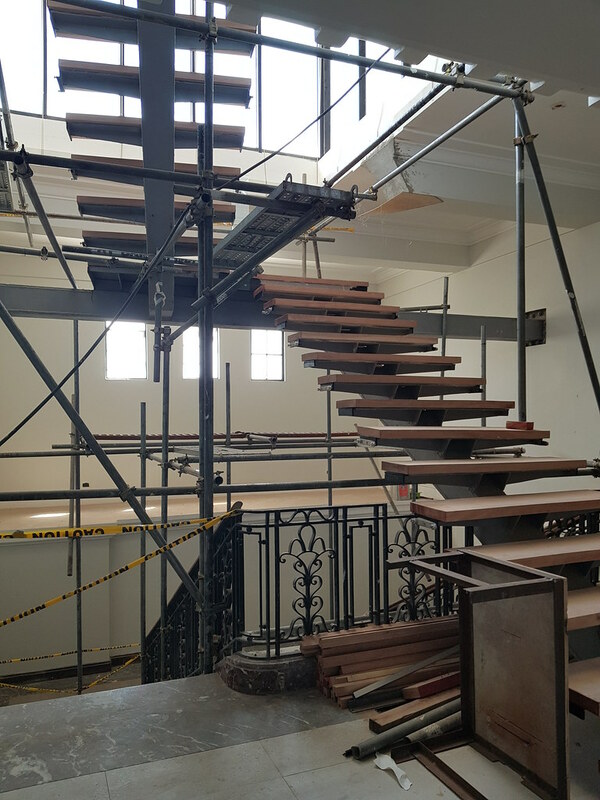 Still in progress when we visited in May 2018. 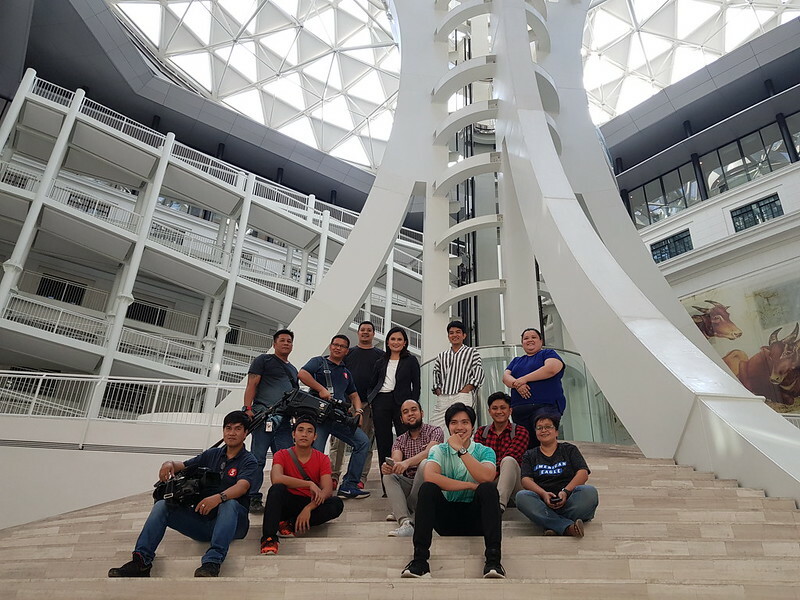 With the production team of CREATE. Exclusively shown in Cignal’s Colours and ONENews channels. Watch the full episode here: Part 1, Part 2, and Part 3.